Quick and long-overdue nail post today! 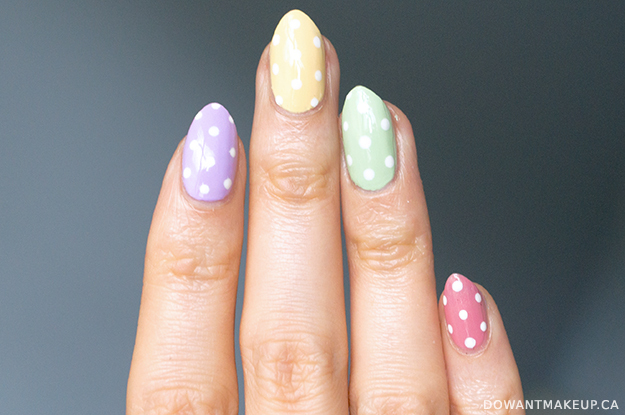 I took a quick picture of these nails to share on Instagram close to Easter weekend, then promptly forgot about writing a proper post about them, soooo here we are. No joke, I got sick of this look less than 24 hours later. 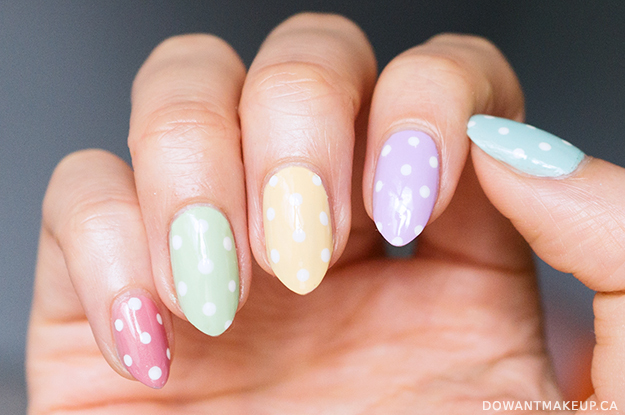 The pastel colours that I thought were so fun and spring-appropriate the day before were now toothache-levels of sweetness and baby shower-y. I couldn't get them off fast enough lol! Another year, another preview of all the new and exciting things coming to London Drugs this year! This year's Beauty Event had 16 different brands presenting new releases in skin care, cosmetics, and fragrance. As always, I won't be writing about everything I saw that night, but hopefully you are just as excited about the favourites I'm sharing today. The lighting was very blue, but I've tried as best as I can to correct for colour accuracy. 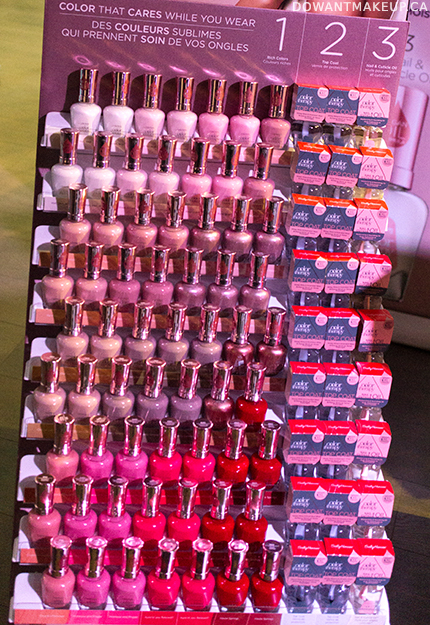 A new range of nail polishes is coming this year from Sally Hansen. 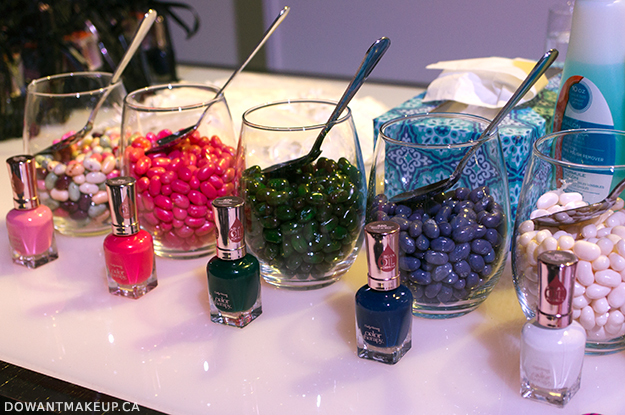 The Color Therapy line has argan oil infused into the polish formula, which promises to nourish nails. I'm a little wary of the affect that the argan oil may have on the wear time of the polishes, but hopefully it will make a different to my sad, dry nails. Hi all! After a very long, totally unintentional hiatus, I am back and ready to blog again. Most of it was genuinely being way too busy/stressed with work/school/life to blog, but after things died down, it was surprisingly hard to get back into the habit of blogging again. I have a lot of catching up to do! We'll start with a skin care line that I have been wearing and testing while I was MIA: Sibu's sea buckthorn skin care and dietary supplement products. 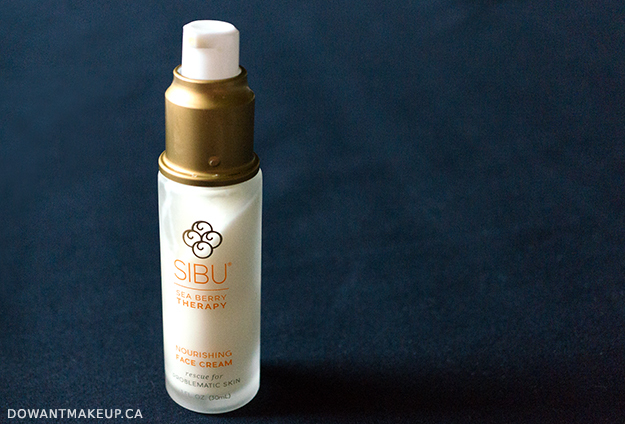 Sibu's headliner ingredient is a berry from sea buckthorn shrubs, said to be high in vitamins C and E, as well as fatty acids Omegas 3, 6, 7, and 9. These properties, Sibu says, make their sea berry products helpful in addressing "problematic skin"--from rosacea and eczema to acne. My usual skin care review research turned up a 2014 post from The Beauty Brains (specifically about Sibu, actually) citing some studies indicating improved wound healing and potential to protect against UV damage. 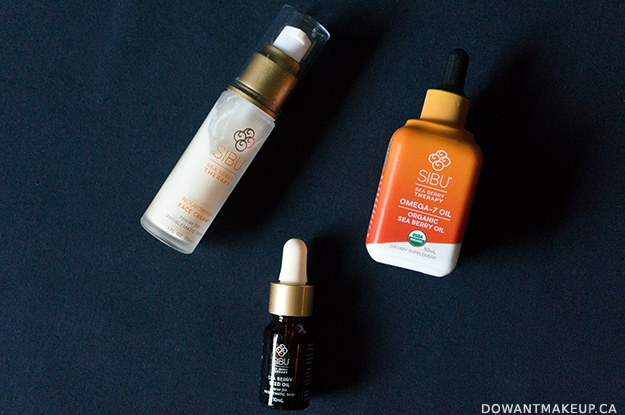 I wasn't able to find too many studies out there yet on the topical benefits of sea buckthorn oil. Nourishing Face Cream is a medium-weight moisturizer in a frosted glass bottle with pump packaging. I like the product but find it better suited for my skin in colder, drier weather. With the weather warming up here (it was 30°C the weekend before last! ), my face needs a very heavy blotting by afternoon. The product is broadly described as being "rescue for problematic skin", but because it contains so many emollient and occlusive ingredients, such as meadowfoam, soybean, argan, coconut, and avocado oils, I wouldn't recommend it for oily or acne-prone skin types. Those moisturizing ingredients would be right at home in a dry-skinned person's routine though!